For three years Simone was in a tunnel with no end. Her husband was dying of an incurable disease that required constant attention. During the end she hoped that Liam would be dead when she returned from work and would blame herself for having such thoughts and feelings. Disease does not just affect the diseased. It can create pain and suffering for the caregiver, rip families apart and destroy even the best relationships. 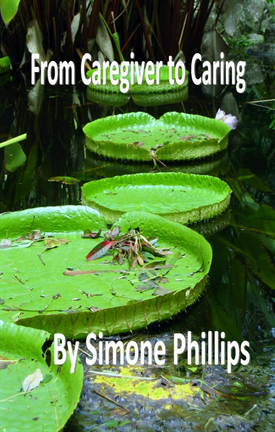 The caregiver is often the forgotten partner and their lives become a shadow to disease. Simone talks openly and honestly about the fear, the frustrations and pain of wishing that it was all over. What she discovered was that she was not wrong for having these thoughts and feelings. Filled with humour, sadness, tears and the joy of finding the light at the end of the tunnel, this story not only gives you hope but starts to give you the tools to help you find what the light is at the end of your tunnel. Moving from the role of caregiver that limited Simone's life to caring, created the space for Liam to choose something different. His own story written in the book Curing the Incurable was due to this phenomenal change that Simone went through. Both now work together changing lives across the globe for those that are ready for the Access tools that enable them to both move into the gratitude, space and being that true caring creates. Simone Phillips All of life comes to us with ease, joy and glory!